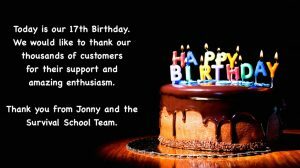 Happy Birthday Survival School. 17 today. 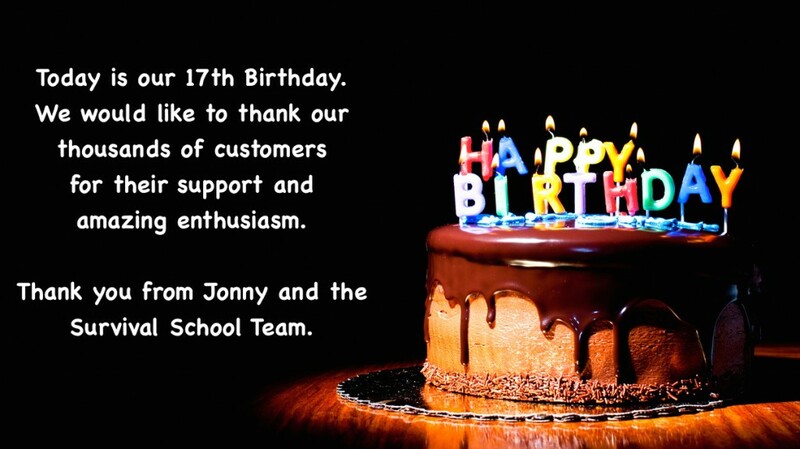 Today’s our 17th Birthday. We’ve met so many people and we would like to thank you all for your support and encouragement. Thank you.